Completely updated! This home features 3 bed and 3 bath with 2111 sqft. Spacious grand entrance leads you to a formal dining and living room with gas fireplace, vaulted ceilings, wet bar with quartz countertops and large picture windows. The bright kitchen features high end quartz countertops, subway tile backsplash & stainless steel appliances. On suite master bedroom features dual closets plus master bath with jetted tub and shower. Lower level features two bedrooms, full bath, laundry, two car garage. Don't miss this one! 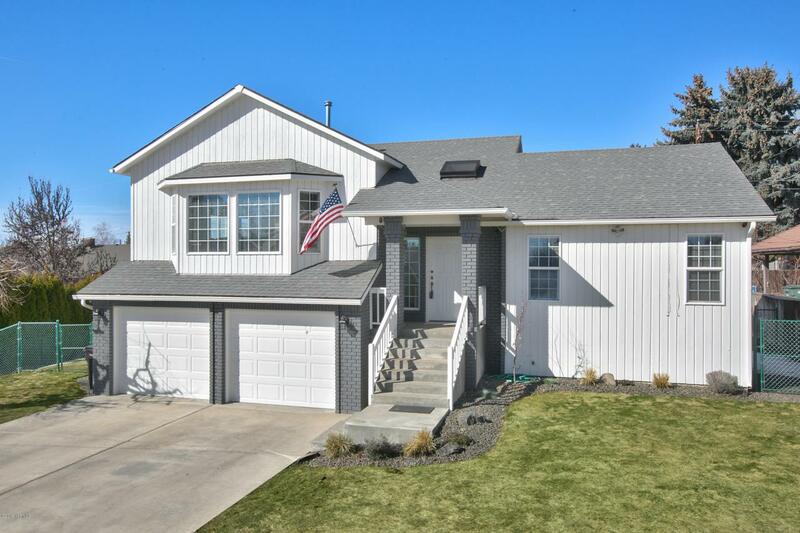 Listing provided courtesy of Justin Thompson of Century 21 Yakima Branch.